Amazon company Audible has launched a dedicated Canadian audiobook marketplace. Audible.ca — the Canadian variant of Audible.com — now features short- and long-form content “specifically curated by and for Canadians,” according to Audible. 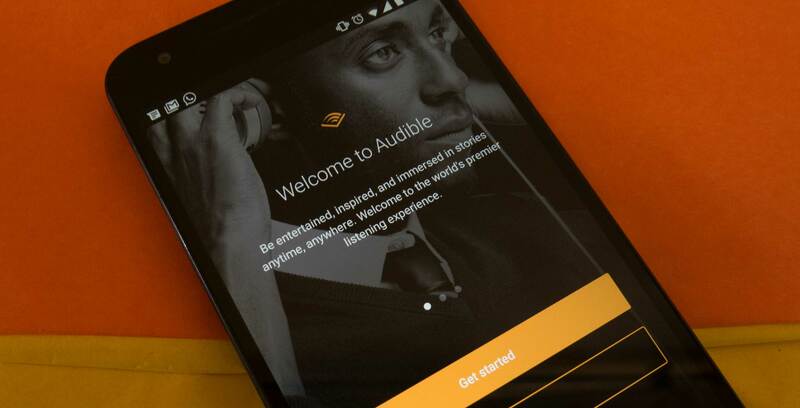 “We’ve developed some technology recently that allowed us to be much more productive and efficient around multi-language,” said Chris Cooper, Audible’s head of international, in an interview with MobileSyrup. As a result, French Canadian users will be able to access a version of Audible dedicated to French-language texts, as well as French-language writers. Additionally, the audiobook company is working with Canadian writers, editors and publishers to continuously update Audible.ca with more original Canadian content. “Canadian customers will also be able to check out curated Audible playlists from leading Canadian voices like Margaret Atwood, George Stroumboulopoulos, Julie Le Breton, and others,” said Don Katz, founder and CEO of Audible, in a media release. New Canadian users can browse the Audible catalogue using their Amazon.ca logins. As for those Canadians with an existing Audible.com account, they’ll be given the choice to switch to Audible.ca. Canadians who choose to stick with Audible.com will not be forced to migrate. Instead, users will be given a choice, and if they choose to stay, they will not be penalized. However, Audible.ca will feature price parity with Audible.com, meaning that Canadians will save roughly 20 percent on audiobooks, in comparison to their American counterparts. In other words, it’s more advantageous for Canadians to purchase books from Audible.ca than from Audible.com. Cooper also clarified that Audible.ca users will not be region-locked. “They’ll be able to access anything that we have global rights to, which is a vast majority — over 300,000 titles,” said Cooper. In terms of appearance, Audible.ca is not wildly different from Audible.com. Indeed, when accessed through the Audible phone or tablet app, there’s almost no discernible difference at all. Audible is also working with Ryerson University on launching courses or seminars aimed at educating students on the science of audiobook production. “We’re actually investing $12 million over the next couple of years to expand that capability,” said Cooper. Students will be able to take classes on performance, recording, as well as production. “It is quite sophisticated, just like music production, and have studios that are at the same level as a music studio,” said Cooper.